Man belly fat with tape measure weight loss around body . 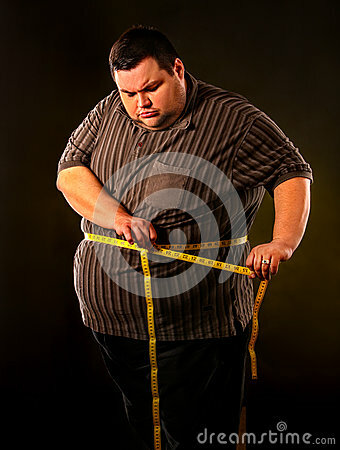 Man belly fat with tape measure weight loss around body on black background. First day of diet. Person is going to lose weight.